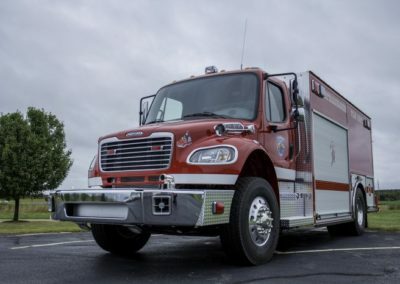 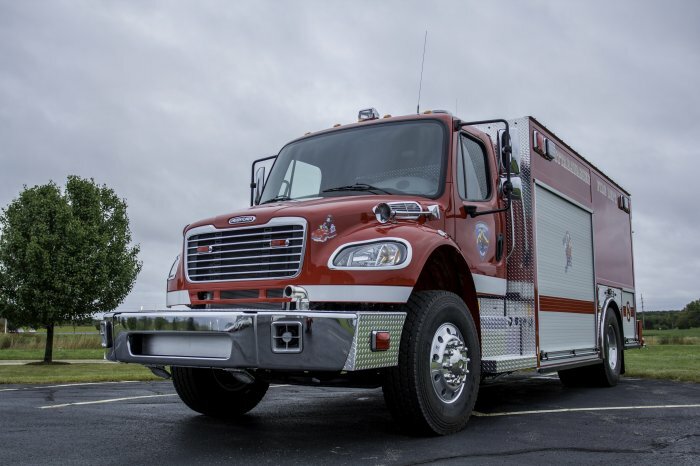 This rig is built on a 2014 M2-106 Freightliner chassis. 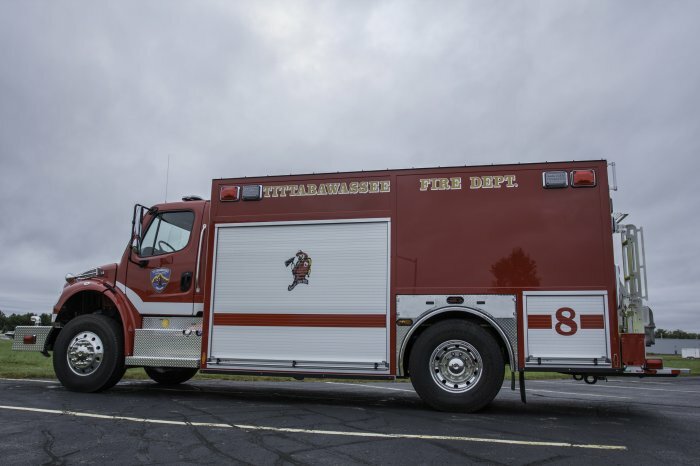 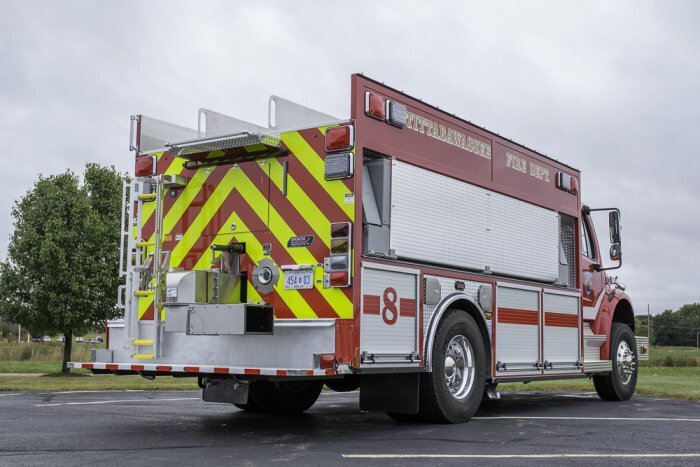 It is equipped with a PTO driven Waterous 750 GPM single stage Fire Pump. 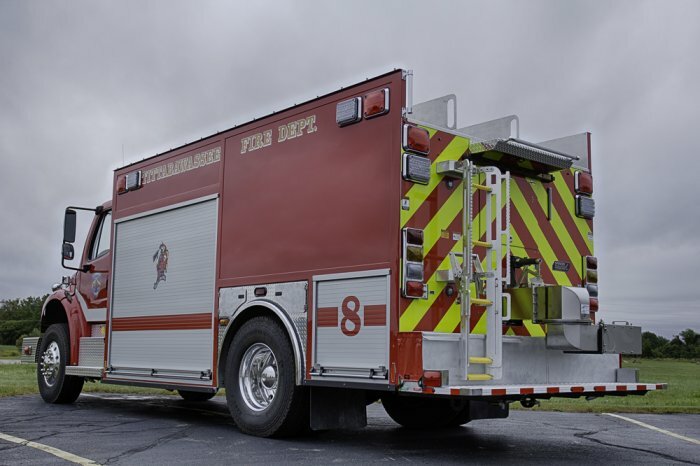 The polypropylene tank built by APR has a capacity of 2000 gallons and features a rear mounted electric Newton swivel dump. 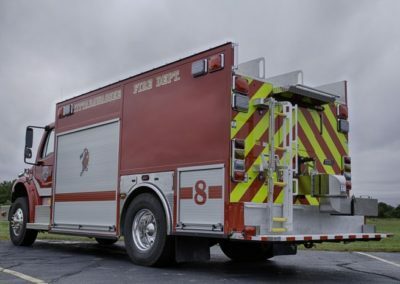 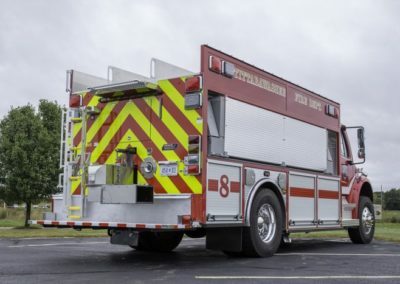 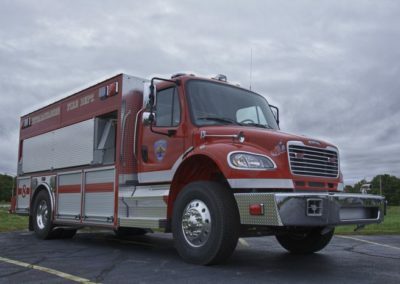 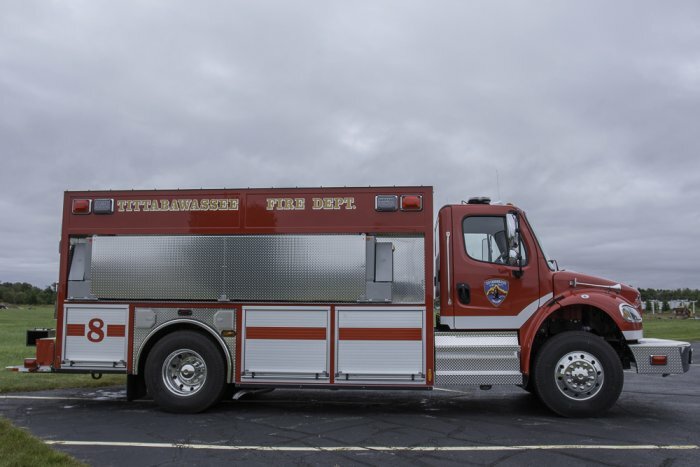 Other products on this truck include Whelen LED warning and scene lighting, dual sirens with rumblers, an enclosed pump house, a FRC pressure governor, two rear speedlays, a front jumpline, custom center console and cab controls, back up alarm and camera, LED directional stick, hosebed access ladder, suction hose and ladder storage in tank, Reflexite chevron striping on the rear, ZICO electric portable tank rack, and a cab mounted Stryker GO Light.